After looking at diaries and homework, it's time to delve into the scrapbooks themselves. Our first scrapbook 'author' in this series is Earl Bergquist. As a collector from the very beginning, his books are a fantastic walk into the past. 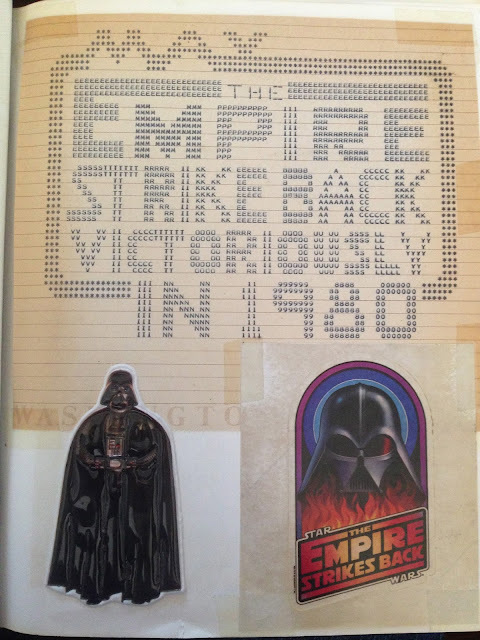 If you were born after 1977 like me, this book would give you a great idea of what being a Star Wars fan was like that first year. These books come in two volumes, Star Wars and Empire Strikes Back. 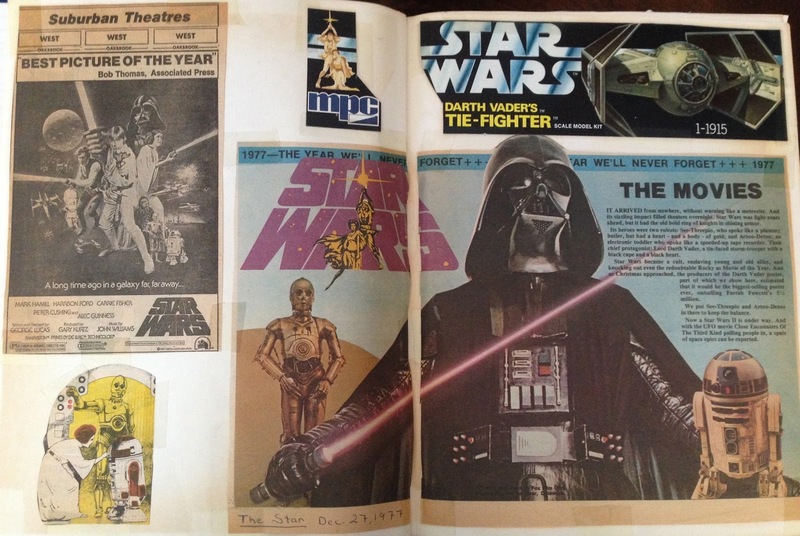 Both contain theater listings, full magazine articles, newspaper clippings, toy advertisements, merchandise and packaging. Earl was inclined to scrapbook for two reasons. Mainly, the pile of newspapers and magazines was growing and space was a premium. 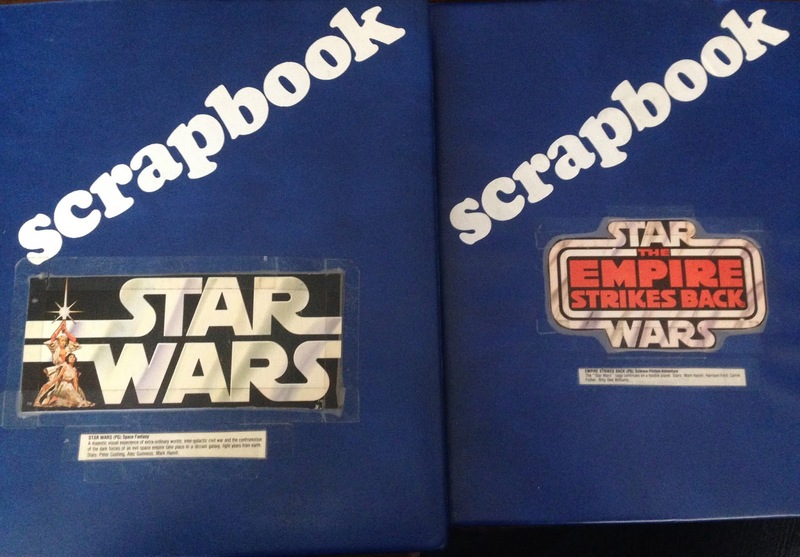 Secondly, these books were found at a local store and with the word "scrapbook" on them they were begging to be used. 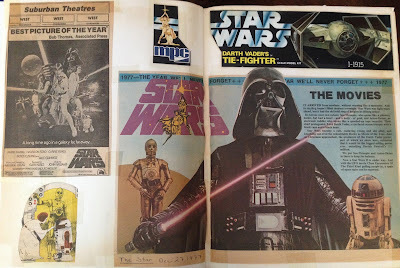 Earl also has a pile of clippings for Jedi but never put them in a book because he could not find another to match the previous two he had. 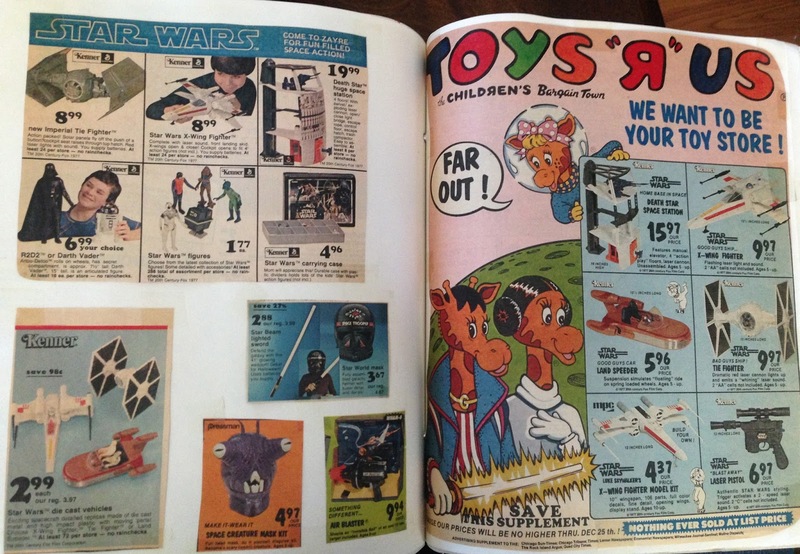 Earl was also sure to include listings from local toy stores advertising what items were hopefully still in stock with 'far out' prices. I sure wish we could still find carded figures for $1.77! 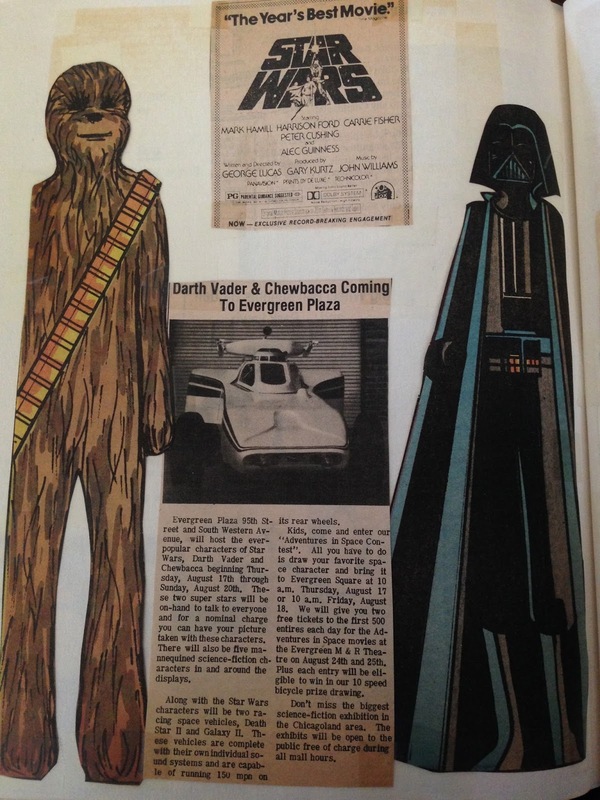 This advertisement from Boy's Life December 1977 is still selling the misspelled Darth Vadar Lives buttons and posters by Factors Inc. There are advertisements for everything from wallpaper to bootleg 'sabres.' 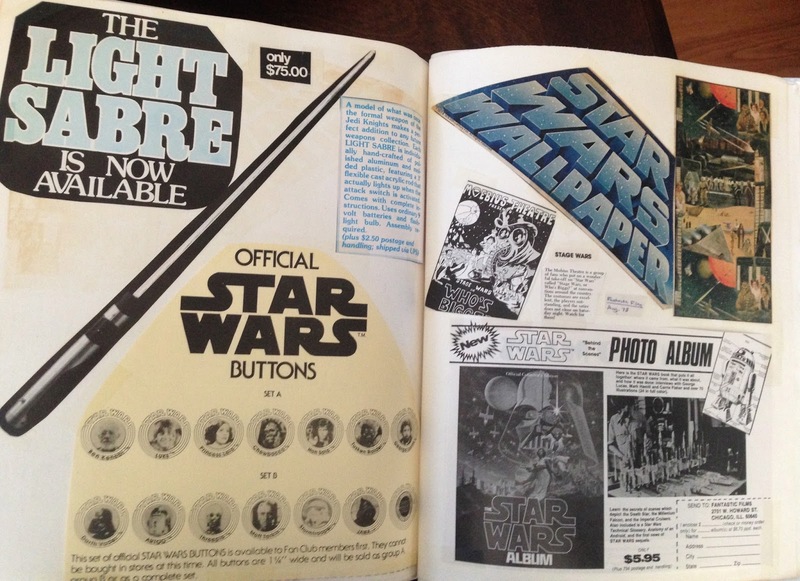 At $75 in 1977, should we consider this the first 'high end' lightsaber? Earl was in college by the time Empire came out and used his computer skills to print this wish for 1980. 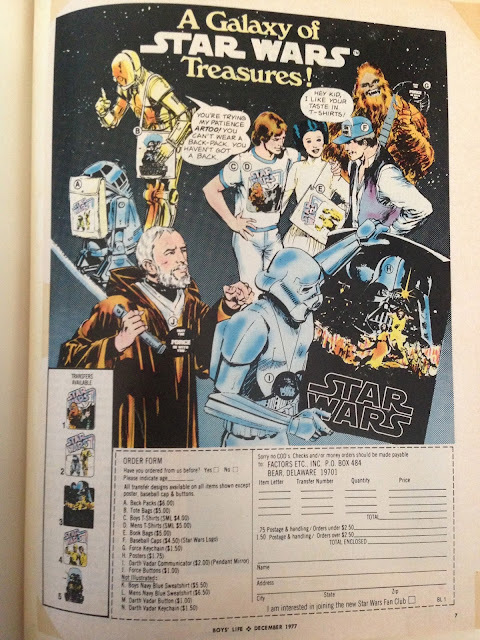 The ads continue during the Empire Strikes Back with Lipton and Dixie tie-in merchandising. There's even several different examples. 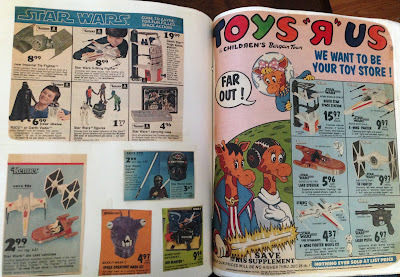 Toy related advertisements and articles still take up a large portion of the book. Earl was also sure to include local Star Wars news in this Chicago appearance of Chewbacca and Vader at Evergreen Plaza complete with space vehicle race cars. Next time we'll close out the series with a look at Tom Stewart's collection of newspaper clippings. I really like these "scrapbooking" articles. Nice job. Thanks!